Another sign that we are easing out of the housing crisis is the spate of new homes being offered by Seattle-area builders. As lenders make more money available to builders, builders are more willing to speculate. • You may have noticed that many older homes in Westwood are being purchased by developers who “scrape” the dilapidated structures and replace them with new construction. Most of the new homes are much larger than the older homes. As a result, we are seeing sale prices in the $400K-$500k range in our neighborhood. The average existing-home sale price in Westwood (homes built before 1950) is closer to $320K. Over time, this is likely to change the demographics of our neighborhood. It is also an indication that West Seattle’s “east of 35th” vs. “west of 35th” mindset may be diminishing. Whether or not that has a positive impact on Westwood, remains to be seen. • Do you have an opinion about this? If so, please comment below. I recently created a new Pinterest Board dedicated to home sales in the Westwood Neighborhood. Each month I will post info about the latest sales. 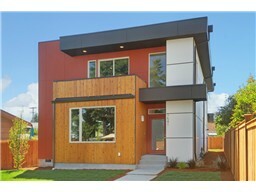 You can access the board here: http://pinterest.com/aakuder/ The board is titled (not surprisingly) Westwood Home Sales.